Ever dreamed of living in a country surrounded with natural beauty? With a laidback lifestyle and relaxed environment no matter where you go? Every year, thousands of people decide to turn this dream into a reality and move to New Zealand. From the picturesque unspoilt South Island landscapes, to the multicultural melting pot that is living in Auckland, or to the creative culture of Wellington, Crown can help you move to any corner of New Zealand. If you are migrating or returning home, we can help make your transition as smooth as possible thanks to our customer-first approach to doing business. At Crown, we realise that moving home is much more than just the shipment of your items from A to B, and that there are many other things that need to be considered to ensure a successful transition. As well as the physical relocation of your household goods, we also offer you help with immigration, settling in to your new environment and finding potential schools for your children. 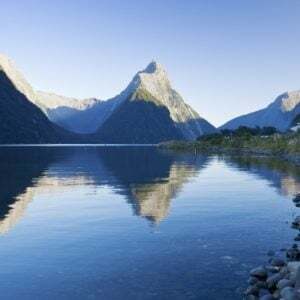 For those who are considering a relocation to New Zealand, you can’t go better than having Crown Relocations manage everything from destination. We provide a complete ‘one stop’ service that can begin with the immigration process and end with a successful settlement into your new home in New Zealand. Shared Containers are a popular choice and are often used for small shipments of items. These containers are often shared with other Crown customers and are a very cost efficient option, as you only pay for the amount of space you use. For those items that you just can’t live without, we provide an Air Freight service. You will find this is the quickest method of international transportation. Sole-use Shipping Containers are most often used for full house loads, and ensure the most efficient and quick relocation time frame. Any removal quotations you source from us are for a full door-to-door service, and will include shipping, the Ministry of Primary Industries (which a lot of companies exclude) and delivery to your new home. Best of all you don’t even pay until you get here! It doesn’t stop there as once you arrive we can support you and your family through our Settling in Services and even save you money by setting up your new home with rental furniture while yours is in transit. If anything concerns you then we are right here at destination and there is no need to constantly refer back to your country of origin for information or answers to your questions.